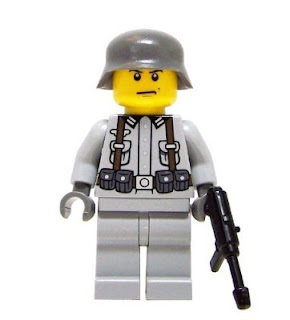 Our very popular German Soldier from World War II is back in stock tonight. Not only that, but we decided to drop his price down to $17 USD. He includes some very cool World War II era weapons by Brickarms, a Luger Pistol, a MP40 Sub-machine Gun, and a Panzerfaust Rocket Launcher. 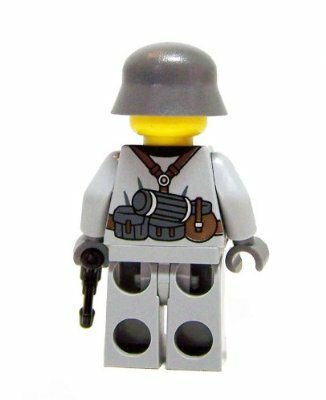 And don't forget, he has custom printing on the front and the back, not a decal, actual pad printing just like LEGO Brand. Printed and assembled in the great US of A!